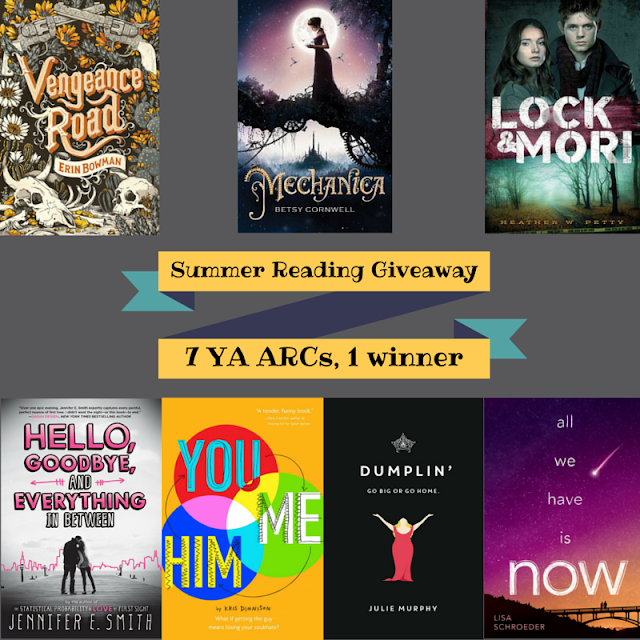 Lisa Schroeder, Author: Summer Reading Giveaway!! I'm really looking forward to _Vengeance Road_ and _You and Me and Him_! Thanks for the lovely giveaway! I'm so excited for all of these! I never heard of most of these, but I read the summaries of all of them and I'm looking forward to Lock and Mori (already on my TBR) but also Hello, Goodbye and everything in between and Vengeance Road!